Hossein Shariatmadari, the influential editor of Kayhan (appointed to the position by Ayatollah Khamenei), claimed in an editorial published on Saturday that Iran’s Supreme Leader Ayatollah Ali Khamenei is opposed to the nuclear agreement with the world powers, JCPOA. Khamenei has not publicly approved or disapproved the deal, and Shariatmadari’s editorial is the first serious indication that he is actually opposing the JCPOA. Members of Iran’s negotiating team had said publicly that the supreme leader were continually briefed on the progress of the talks and had sent messages to the negotiating team regarding the issues under discussion. His opposition to JCPOA, if Shariatmadari understands it correctly, would be a blow to the deal. Iran’s parliament (Majlis) or the Supreme National Security Council (SNSC) will consider the agreement in the coming days. Senior leaders in Iran are divided on which institution needs to give its final approval or disapproval to the deal, Majlis or SNSC. Khamenei’s ruling on this issue would determine which body would examine the JCPOA. The hardliners like Shariatmadari prefer that Majlis disapproves the deal. Some hardliners, like military chief Gen. Hassan Firouzabadi, prefer the Majlis not even consider the deal, fearing an approval by the body would make the defense-related provisions in the agreement, limitations on ballistic missile program and arms imports, binding for Iran. For Farsi readers, please click here to read Shaiatmadari’s editorial. There is a nuanced difference between “not in any way satisfied with the nuclear deal" which is the English translation of Shariatmadar's characterization as written in the editorial, and "opposed" as it is characterized here. Observers are looking towards whether JCPOA is formally undertaken by Majlis as a bill. My hunch is that such a bill would be undertaken after the U.S. Congress process, possibly even after the presidential veto and veto override processes. In such a way, were the veto override succeed, it would enable the Iranians to assign blame for failure on the U.S., which would be important for Iranian relations with Europe, Russia and China. Shaiatmaderai uses the words "do not approve," in explaining Khamenei's view of the JCPOA. Not really that much room for a nuanced interpretations here. Shariatmadari might be wrong, but he says Khamenei is not going to approve the deal. Without his approval, there won't be a deal. 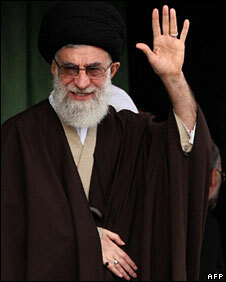 I doubt the Iranian leadership expects veto override to succeed. That's probably why prominent Iranian hardliners, like Shariatmadari, are lining up to announce their opposition to the deal, calling it a disaster for Iran and its independence and sovereignty. If they expected a veto override, they would have kept quite. Note that two weeks ago Kayhan Daily was issued an official warning for its anti-nuclear deal reporting, where it was.“alleged to have insulted Iranian officials as well as violating orders on coverage of the deal issued by the Supreme National Security Council (SNSC). But I thought Kerry said there won't be a sanctions snap-back for Iran arms, missile violations. Why are they still concerned? Khamenei's office has not denied Kayhan's assertion that he opposed the nuclear agreement, and Khamenei's Monday speech reinforces the spirit of Shariatmadari's editorial. Thanks. In the same editorial, Shariatmadari also says that the leader does not approve the deal. As I have said in previous comments, Shariatmadari's take on what Khamenei believes might be wrong. I guess the best thing to do is wait for Khamenei make a definitive statement on JCPOA. Until now he's been vague on the most important agreement since the end of Iran-Iraq war, giving hardliners the space to air their opposition to JCPOA forcefully. But after veto override here, Khamenei needs to announce his decision and will not be able to continue the game of supporting the negotiating team but not approving the deal.